Among the painted pottery types in the Levant during the fifth and fourth centuries B.C.E., the “East Greek” class is especially conspicuous and usually assumed to have been produced in Ionia. This pottery is the subject of a comprehensive research project, examining it from typological, analytical, and other perspectives. Our conclusion is that the “East Greek” class comprises in fact several subgroups from various other parts of the Mediterranean. 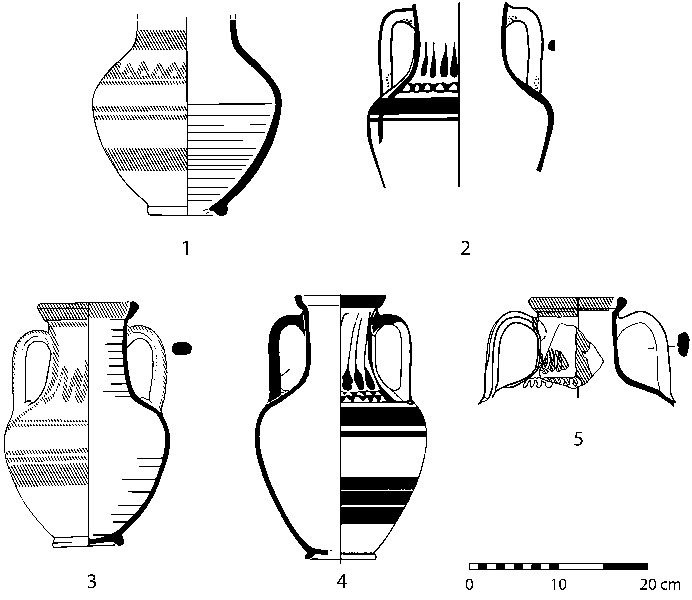 Here we discuss one of these groups, including mainly hydriai, table amphoras, and jugs, which we suggest were produced on Crete, specifically in the central part of the island. These are the first Cretan ceramics of this period attested anywhere off the island, and they provide the first hint that maritime routes then linked Crete with various eastern Mediterranean regions. This pottery can perhaps be understood as a proxy for the exchange of a wider array of commodities, a possibility addressed in the concluding section of this article. Since the conventional wisdom is that Crete was largely disconnected from the rest of the Mediterranean in the Classical period, both commercially and culturally, this discovery has important implications for Cretan history and more generally for tracing ancient Mediterranean interconnections. It also adds to our understanding of the ceramic repertoire of fifth- and fourth-century B.C.E. Crete, which is still rather poorly known.